Pokémon Go swept into the phones of millions of people worldwide earlier this year and its impact is now being felt in mobile gambling with the launch of 888sport’s innovative Free Bet Hunt game. Available through the 888Sport app and mobile websites, Free Bet Hunt offers players the chance to pick up free sports bets planted around stadiums of English Premier League clubs and 888sport-sponsored Championship teams Birmingham City, Brentford, Nottingham Forest and Preston North End. Sport is a big part of Australian culture, be it amateur golf or organized rugby union. Early settlers from Great Britain brought their sport traditions with them, so games like cricket and football have been played on Australian soil for at least 250 years. Professional sport is also big business in Australia – the country’s most-popular sport is Australian Rules Football, and its’ professional league (the AFL) is home to dynasties in the form of clubs like the Essendon Bombers and the Carlton Blues. Perhaps the biggest sporting event in the nation is the annual Melbourne Cup, an event with such a heavy cultural impact it’s known as “the race that stops a nation.” Pro basketball is making in-roads, with an 8-team league that’s produced players now known around the world, like Aron Baynes and Patty Mills of the NBA. On September 10th, 2014, iGaming Media and 180Vita released a social betting/sports tipping application called Tipday. Not to be confused with Tipday’s existing Web-based service, the Tipday mobile app (built for both Apple iOS and Android smartphones and tablets) combines traditional sports betting tips with design features that create a market for competition among sports tipsters. Tipday focuses chiefly on soccer fixtures from England, Scotland, Spain, Germany and every other major league from around the world. Basketball and rugby betting tips are also available. Sources at 180Vita emphasize that the release of Tipday was an attempt to get into the burgeoning mobile sports betting market, but the growing popularity of social gambling must have been a factor, too. 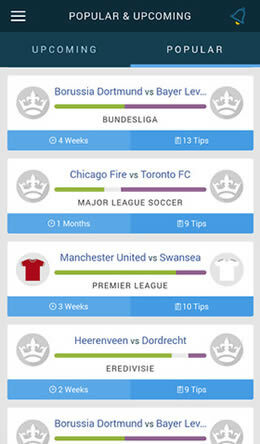 By creating a platform where the everyday football fan can compete head-to-head with thousands of other bettors, the creators of Tipday’s mobile application have built a two-pronged system. Bettors can read and follow tips produced by other bettors or they can choose to participate, forecasting their own outcomes and comparing their results with others. Horse racing doesn’t have quite the same choke-hold on American bankrolls that it did fifty years ago. Total handle in the US racing market was around $3 billion last year, not near as dominant as casino gambling (and its $60 billion take) but still not a number to sniff at. The biggest race events of the year in the US are still the three legs of the American Triple Crown - the Kentucky Derby, the Preakness Stakes, and the Belmont Stakes. It makes sense, then, that the three courses where these races are run also serve as the great cathedrals of US thoroughbred racing. Live sports streaming is becoming a hallmark of a solid online sports betting service. With mobile live streams, bettors can enjoy a huge variety of sports from all over the world on their smartphone or tablet. Live streaming is a technical term used when a website broadcasts any live activity directly on the site itself. The world’s top betting sites carry multiple mobile stream options at any given time, all of which are accessible through a mobile browser or mobile betting app itself. Here are details on the three best totally-free iPhone apps that allow iOS, Windows Phone and Android customers to watch live sporting events. 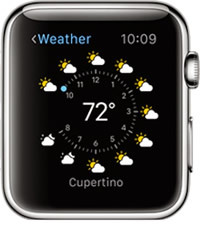 Could The Apple Watch & Google Glass Be Used For Sports Betting? Google Glass is one of the first mass-produced devices to appear in the Wearables category – a wearable is any Web-capable computing device that can be worn on the body like a piece of clothing or accessory. Though Google Glass premiered before the Apple Watch, Apple’s take on the traditional watch is designed to create as big a furor as the iPhone did when it transformed the cellular phone. The market for wearables is unknown; few devices have been released and there is no good way to track demand for them. Demand for Google Glass was high among a certain set – single 18 to 32 year old's living on the coasts. Obviously, Apple fans and tech geeks will want to get their hands on the Apple Watch – does the market exceed those few categories? The differences between an application released by a traditional bookmaker and a betting exchange app are significant. For starters, exchanges and bookmakers operate differently; exchanges earn commission on users’ winning wagers, whereas bookmakers accept wagers against their own odds. Other differences exist, most of which are related to this initial and most obvious difference between the two. 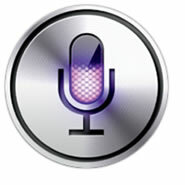 Siri is a Web app available on all Apple gadgets running iOS. The group that developed Siri calls the software a “knowledge navigator,” built on a simple language platform that allows users to ask questions and perform certain activities remotely, at the push of a button or (as part of iOS 8) a voice command. Acquired by Apple and incorporated into iOS in the middle of 2010, Siri is a major selling point for iOS devices, featured in commercials and pop culture as a kind of personal assistant, answering questions on everything from today’s weather to upcoming calendar events. The latest version of Siri is also able to answer questions and provide information related to sports betting. Fans of sports betting can now use Siri to find out details related to American football, US league soccer, MLB baseball, NBA basketball, NHL scores and stats, and even straight-up betting advice. One of the many features useful for sports bettors incorporated into Siri in the past few years is good old statistical data. As long as a user asks Siri a statistical question related to one of the above sports, the program can find the answer. For example, if a user wanted to know what the Pittsburgh Pirates’ Josh Harrison’s batting average is on a given day, the user can ask Siri in plain language: “What is Josh Harrison’s batting average?” Siri will respond: “Josh Harrison has a batting average of .318,” and then display an infographic on the player, including his number, position, team, recent major stats, and even a photo in uniform. Injury reports are also a simple question away. Head-to-head player comparisons are easy with Siri; a user who asks: “Who is the best quarterback in the NFL?” will be given a simple one-line answer (“Peyton Manning leads the NFL in quarterback rating this season.”) along with a list of all NFL QB’s and their respective overall ratings. Those are just two examples of the wide range of questions the program can research and answer for users faster than they can search for it on their own, and totally hands-free. Getting away from statistical information and deeper into Siri’s sports betting abilities, users can ask direct questions about the odds for upcoming games and expect solid answers. For example, a user could ask: “Are the Dallas Cowboys going to win tomorrow?” Siri’s response is simple – “The Cowboys play the Rams tomorrow at 12 PM. Those in the know say that the Cowboys will defeat the Rams by one point.” The infographic that appears after this type of question shows the teams playing (along with their overall record) as well as the time of the game, the network it will appear on, and the source of the information. Users can take this tip further, asking about the over/under for the Cowboys game, and Siri will respond in kind. The benefit of using Siri as part of a handicapping strategy should be clear – by pressing a button (or issuing a voice command on some versions of the software), users can access statistics, comparisons, and betting advice. It makes wagering via mobile even more convenient. Here is a video demonstration of Siri answering questions on players stats, team rosters, schedules and scores. Why can i not find bookmaker apps in the iTunes App Store? 500 million iPhones have been sold since the device launched, meaning a large chunk of the developed world’s population is using the familiar white-backed gadget. Including iPad and other mobile gadget sales into the mix, and it is clear that Apple is one of the top providers of mobile hardware and software in the world. What Apple does makes an impression on the entire industry. Yet for some reason it's still not possible to download an iPhone bookmaker app in the United States of America. Long before the launch of the first iOS device, Steve Jobs was dead-set against the production or availability of any applications that were “adult” in nature. This included pornographic material, apps that allowed illicit activity like online drug sales, and gambling-related material. Steve Jobs didn’t want that type of material in the App Store because he wanted as many consumers as possible to embrace the concept and rely on the store for their everyday needs. Because mobile gambling has had a rough go of it in American cultural history (and in the history of many other nations around the world), it was explicitly disallowed at the App Store’s genesis. Another issue for Jobs and company was the sense that simply allowing such apps to exist could be seen as a form of gambling promotion. Beyond any moral issues at hand, this kind of promotion would have certainly caused legal problems for Apple. After all, Internet-based and mobile gambling is still explicitly illegal in some countries, and the promotion of such gambling is just as (or even more) illegal. This led to a conundrum – how can the leading developer and manufacturer in the industry be against something that’s quite popular around the world? Millions of iPhone owners have no moral issue with gambling and live in countries where such gambling is fully legal. Why can’t there be a middle ground, a place where owners of iOS devices could use their gadgets to access the gambling apps they want to use?